As anyone who observes Passover will tell you, cooking and baking without flour or any kind of leavener can be a challenge. By Day 6 all I want is a pizza. 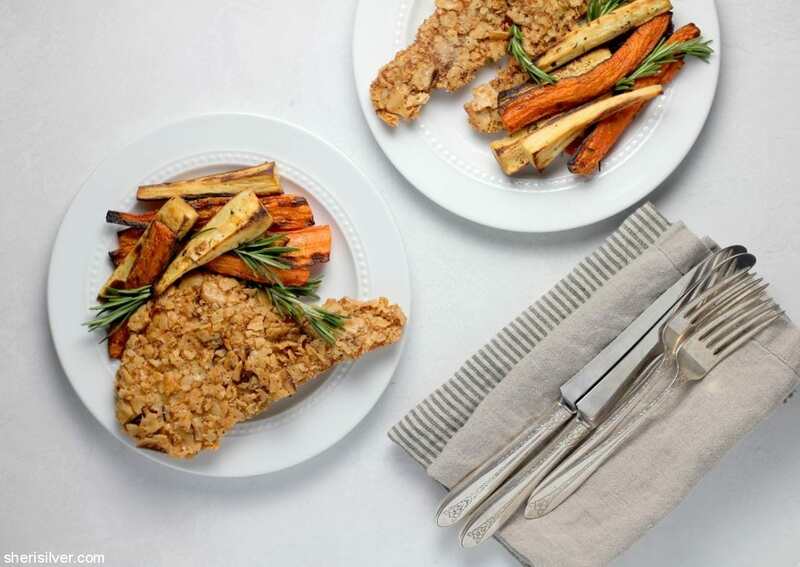 So to find a dinner recipe that is Passover-friendly, easy, and really (really!) delicious? Well, that’s a keeper. And this chicken is a KEEPER. 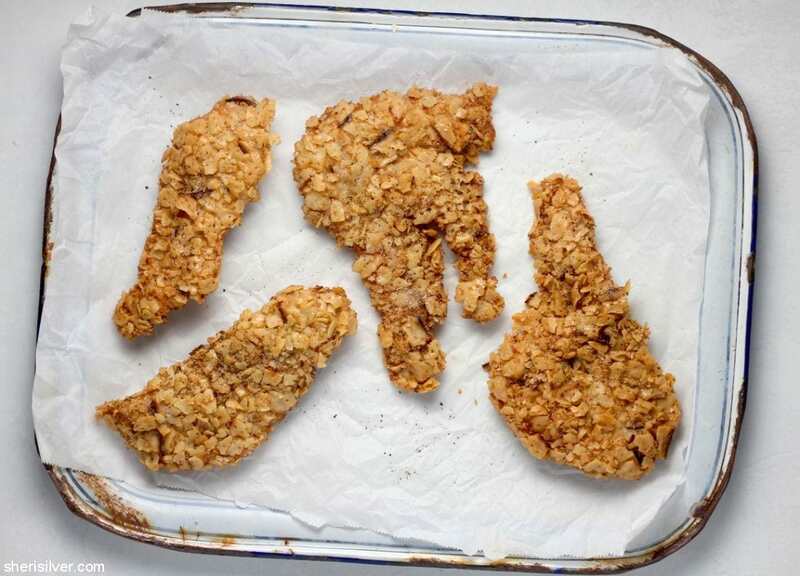 Simply coat some egg-dipped boneless breasts in crushed matzoh and fry ’em up. The first time I made this I was so pleasantly surprised at how crunchy the coating remained after frying – and though I season the matzoh simply with just some salt and pepper, the sky’s the limit. 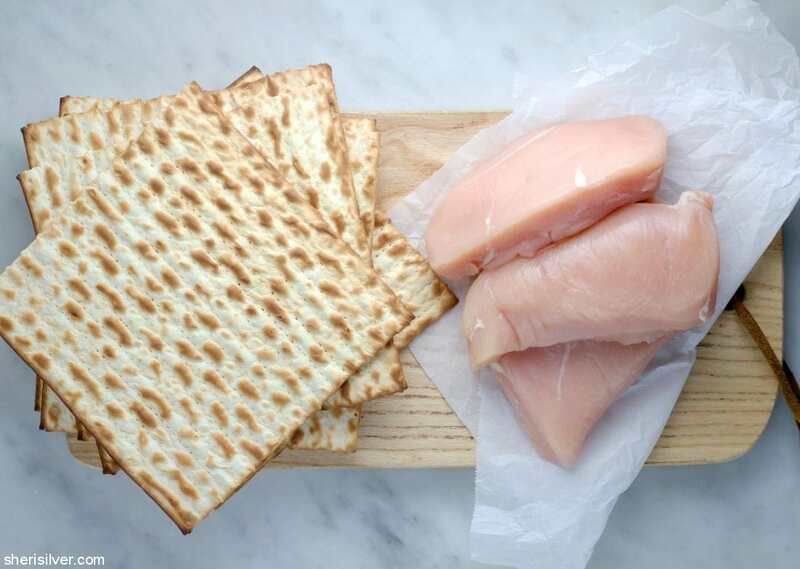 If you can coat the cutlets in advance (at least 2 hours, and up to 1 day) even better, as it will allow the matzoh to really adhere to the chicken and not fall off when you start cooking. 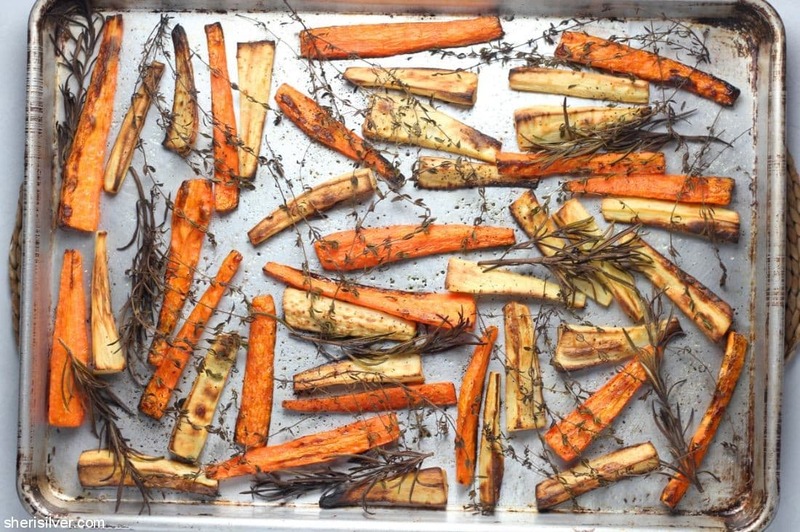 A simple side of roasted root vegetables is all this “dinner irl” needs! For those of you who celebrate, what are your go-to Passover-week dinners? Share away; we need all the ideas!!! 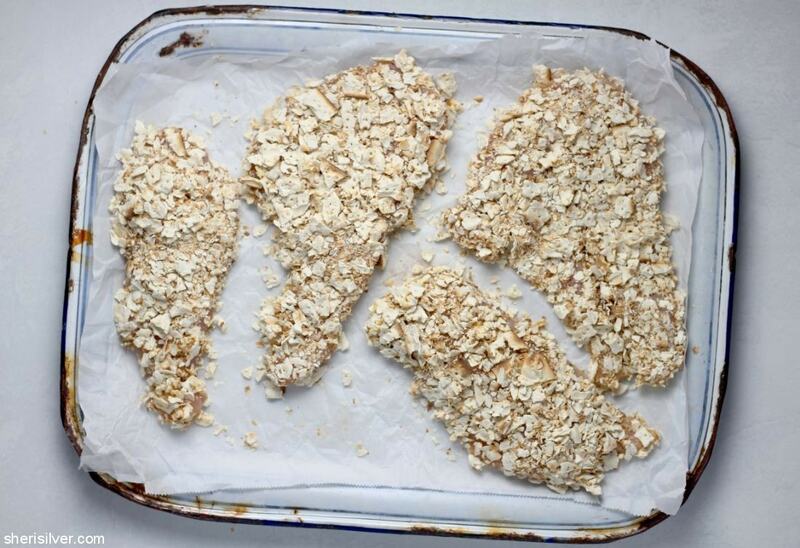 If your chicken breasts are thick, butterfly them all the way through. Season both sides with salt and pepper; place on a foil or parchment-lined baking sheet. 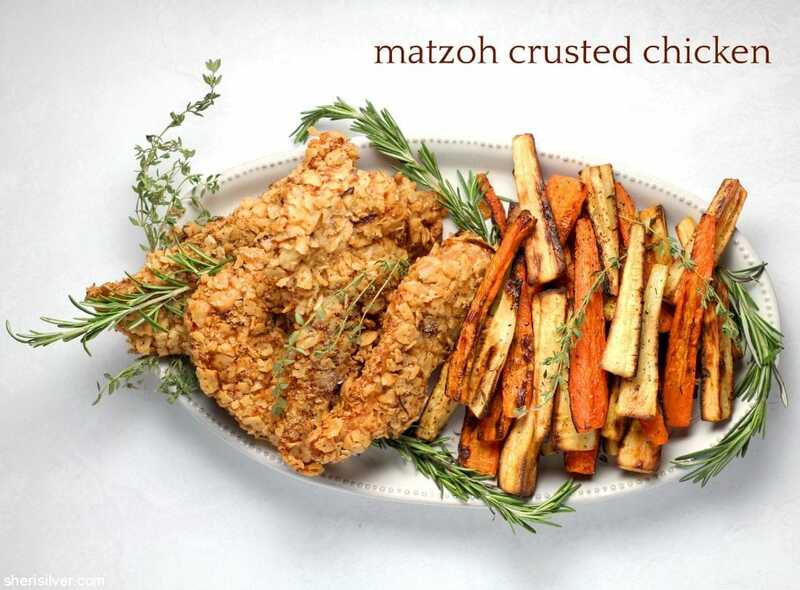 Crush the matzoh by hand and place in a shallow dish or plate. You want pieces that are roughly 1/2″ in size, but don’t worry too much about consistency. Season with salt and pepper. Place the eggs in another shallow dish or plate and whisk to blend. Working with one piece of chicken at a time, coat in the eggs and allow the excess to drip off. Coat thoroughly in the crushed matzoh, turning a few times and pressing firmly to adhere. Return to your baking sheet and repeat with remaining matzoh. Cover with plastic wrap and refrigerate for at least 2 hours (and up to 1 day). Pre-heat oven to 175 degrees. Line a baking tray with some paper towels; set aside. Line another tray with foil or parchment; set aside. 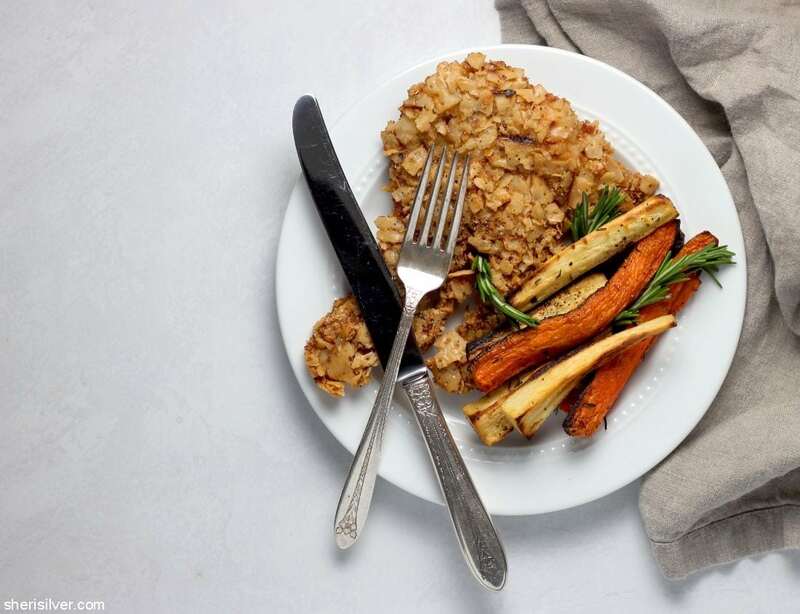 In a large skillet, heat 1″ vegetable oil over medium-high heat. Cook chicken till golden brown on both sides (about 4 minutes per side). Remove from heat, season with salt and pepper on both sides and drain on paper towels. 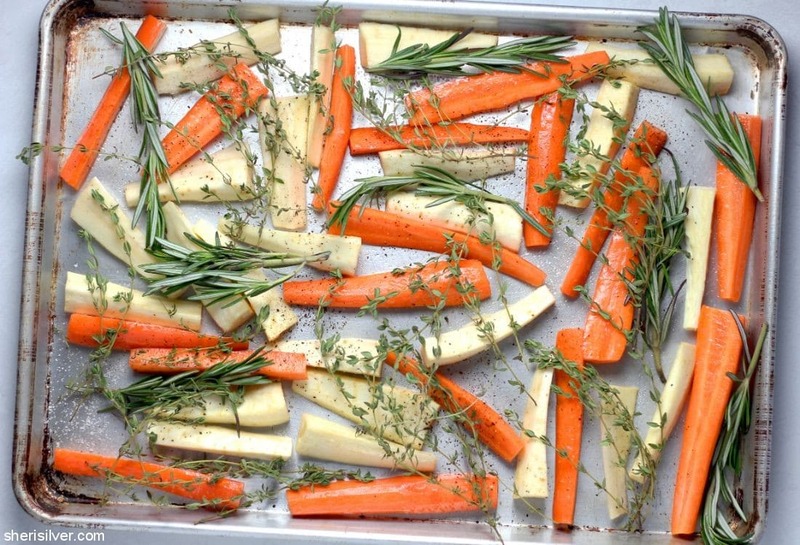 When drained, transfer to the foil-lined tray and place in the oven to keep warm. Repeat with remaining chicken, adding oil to pan if needed. More delicious dinner ideas and Passover inspiration (along with my favorite wheat-free recipes) on Pinterest!